Bringing together inspirational musicians is always an exciting prospect. 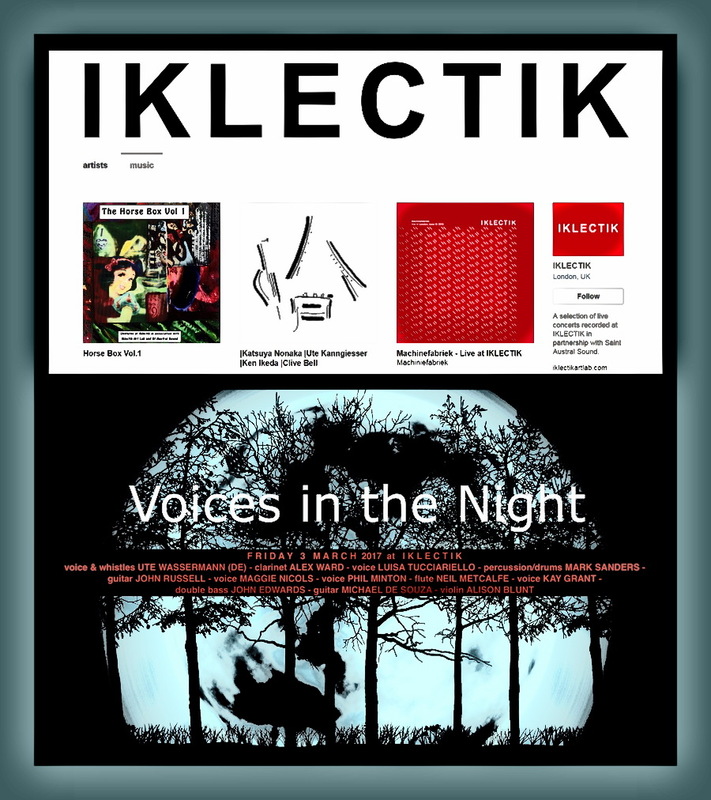 Voices in the Night is a one-off, unique event featuring some of the finest, internationally acclaimed free improvisers with the only composed element being the pre-determined small groupings of duos, trios and quartets. Naturally, 'voices' relates to the instrumentalists as much as to the vocalists - each artist is distinctive in expression, however each performance this evening will also include a human voice. Maggie Nicols, Ute Wassermann, Phil Minton, Kay Grant and Luisa Tucciariello are the extraordinary vocalists in the 'Voices in the Night' cast, and they'll perform non-hierarchically in small ensembles alongside their equally distinguished instrumentalist colleagues John Edwards (double bass), John Russell (guitar), Mark Sanders (drums/percussion), Alex Ward (clarinet), Neil Metcalfe (flute), Michael de Souza (guitar) and Alison Blunt (violin). Whether you're just starting to listen to music that wouldn't get mainstream airplay or whether you're a regular listener to adventurous music, the 'live' experience offers the full-colour version of listening - and this line-up is full of magic. Quoting guitarist Derek Bailey: "Undeniably, the audience for improvisation has a power that no other audience has. It can affect the creation of that which is being witnessed. And perhaps because of that possibility the audience for improvisation has a degree of intimacy with the music that is not achieved in any other situation." 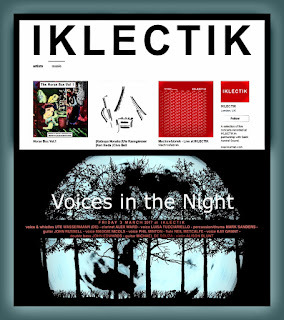 Come and be part of the evening in the congenial acoustic and charming setting that is Iklectik.